Showing items 1 - 5 of 69 for Dene. 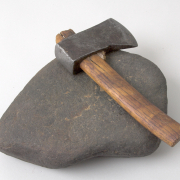 A pounding stone is used to prepare soft meat that can be consumed by elders. It is soft, so they can eat it. To make pounded meat for an elder is a respectful and caring thing to do. 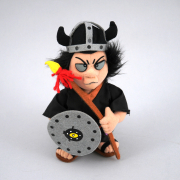 Pounded meat is also used by hunters as a light food to carry with them. It can also be used to break up bones to make bone grease. 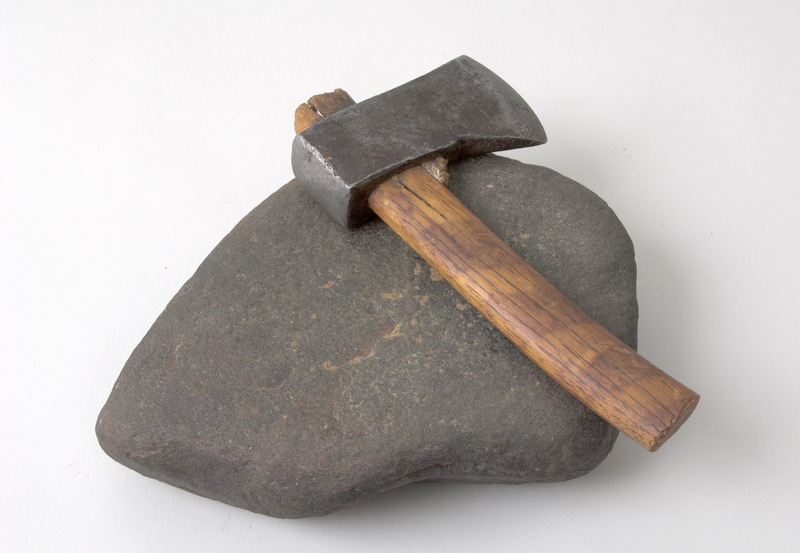 This tool was used by Madelaine Pea’a (aka Madelaine Judas, senior) in Wekweeti in the 1960s. 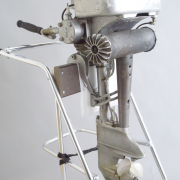 A ‘Johnson’ eight horsepower ‘OK-20’ gasoline boat motor. 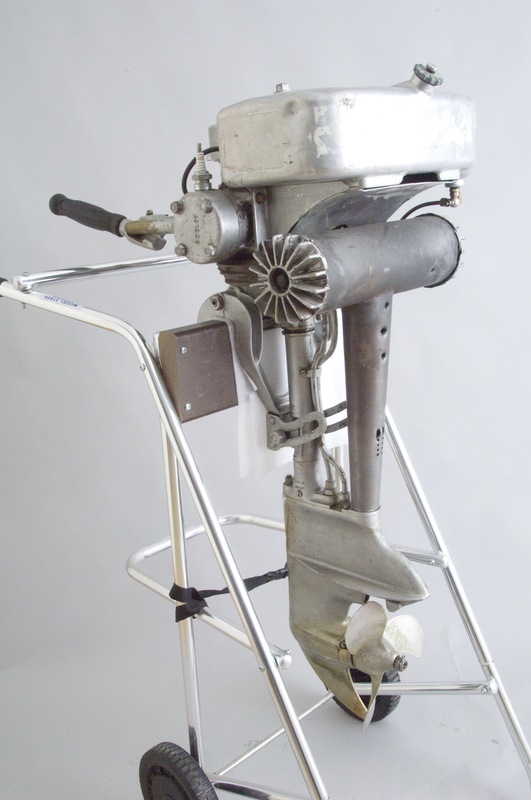 This motor was being used by a Dene man on his home-made boat in 1962 when Bern Will Brown arrived in Colville Lake. Small boat motors like this are also called ‘kickers’ and could be strapped on the back of freighter canoes, making travel much easier for people using the waterways. 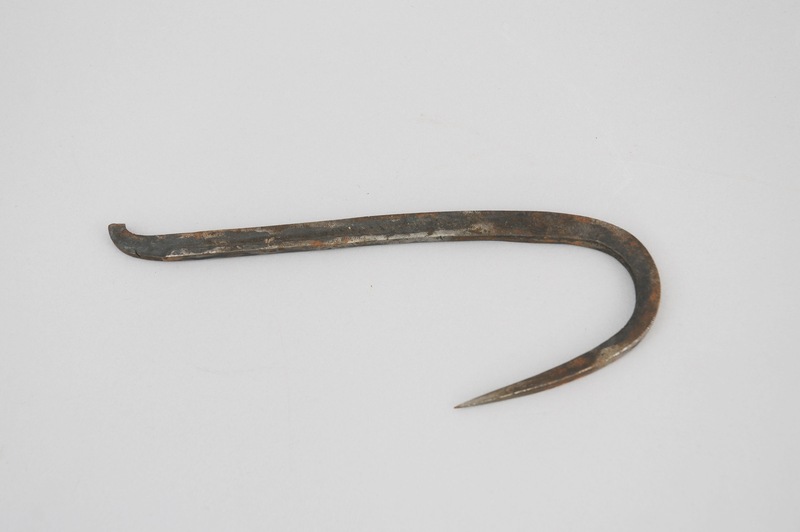 A hook used by hunter and trapper Gabe Etchinelle. 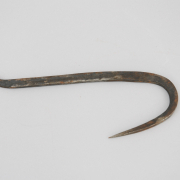 The hook was bound to a wooden pole and used for retrieving a beaver from an underwater trap. 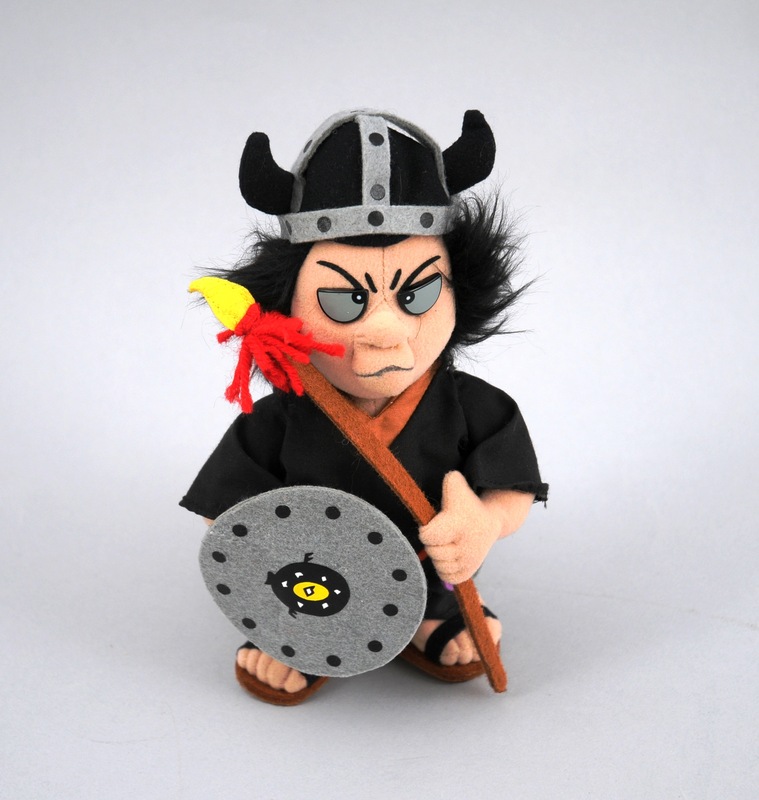 A soft-bodied doll resembling a ‘Viking warrior’, commercially produced for a fundraising and awareness campaign by the “Women Warriors of the Sahtu” who wanted a road built to the Sahtu region of the Northwest Territories. Newspaper columnist and personality Cece Hodgson-McCauley was the instigator of the campaign, and the doll was made to look like her. 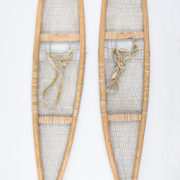 A pair of snowshoes made by Bruno Moosenose and Catherine Moosenose. Bruno constructed the frames, and Catherine did the babiche webbing and moose hide ties. 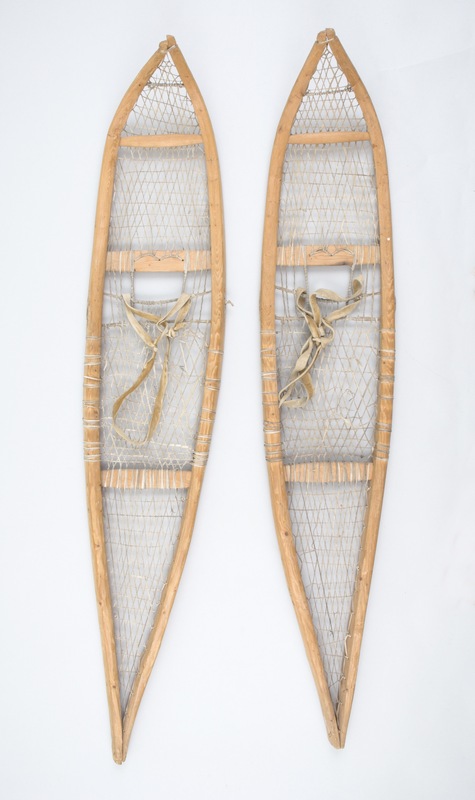 The snowshoes were collected by anthropologist June Helm in 1959.